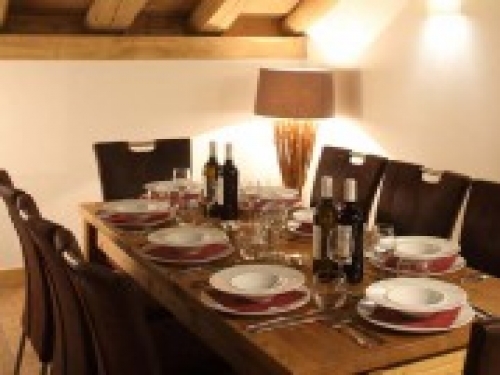 A group of chalets newly built, furnished to a high specification and in a prime spot for ski accessibility - can be either catered or self-catered for flexibility. 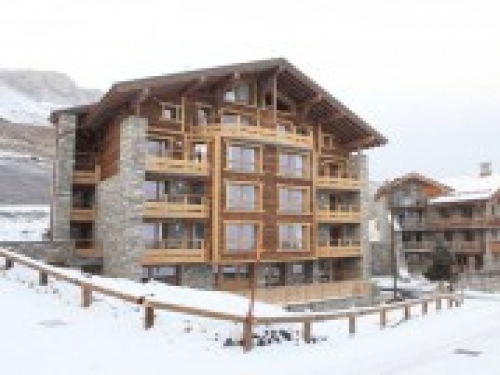 SIX modern, newly built chalet apartments offering flexible accommodation for either single travellers of a big group. 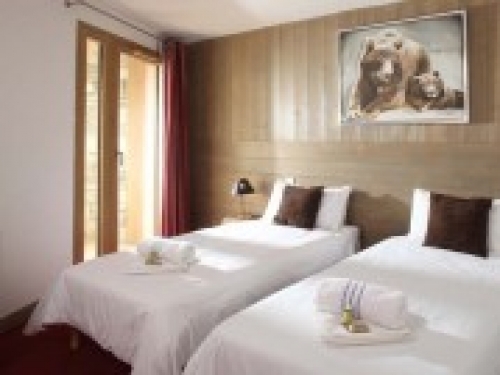 These chalets can either be booked by the room, or taken for sole use. If you take a 6 chalets, the total group occupancy would be 54 people! Please take a look below at each property and contact us for details based on your criteria. 849a - sleeps 12 in 6 bedrooms 849b - sleeps 9 in 4 bedrooms 849c - sleeps 6 in 3 bedrooms 849d - sleeps 9 in 4 bedrooms 849e - sleeps 6 in 3 bedrooms 849f - sleeps 12 in 6 bedrooms Location - Tignes Le Lac. 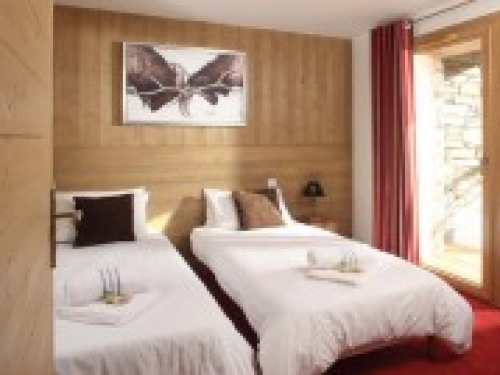 These contemporary chalets, are in a remarkable location for access to the renowned ski area of Espace Killy. Situated just 140 metres from the pistes, intermediate skiers and above can ski back to the chalet at the end of the day. The centre of Tignes Le Lac with its array of shops, bars and restaurants is only a 5 minute walk (approx.) away. 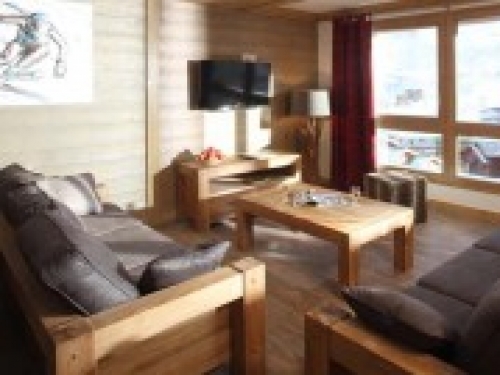 Recently built, furnished to a high specification and in a prime spot for ski accessibility, these spacious chalet apartments magnificently combine the functionality of modern living with tradition. Built in the Savoyard style with a contemporary twist, all living areas (as well as many bedrooms) have light, airy balconies. 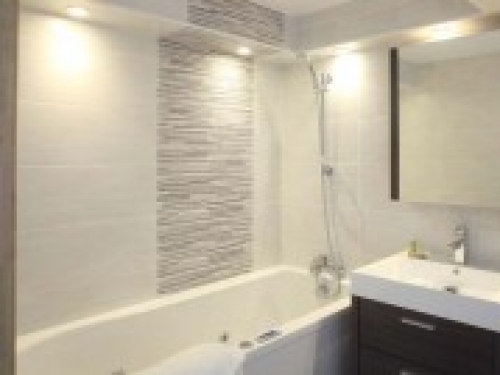 For ultimate convenience all bedrooms are en suite, complete with their own hairdryers. 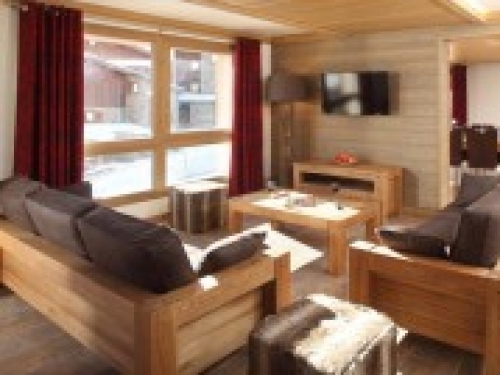 You can entirely relax in peace and comfort as each chalet boasts its own sauna, perfect at the end of a long day on the slopes. They also share an entrance lobby which has communal ski lockers, the luxury of individual heated boot dryers and a lift to each apartment entrance. 7 nights accommodation on a catered basis INCLUDING flights and transfers Prices are based on "from" typical price and dependent on availability. Photos are of all properties - please contact us to request an information sheet for your particular chosen property. Facilities and amenities are dependent on each property and do vary. Not all facilities listed on this webpage may be aviailable on all properties. Please check your information sheet before confirming. Pricing and "whats included" can change dependent on what is available at the time. All information given at the time of booking supersedes this information. Please check the relevant information upon booking.